FRITZ!Box 4020 and FRITZ!Box 4040 only have one view, and it displays all of the settings. 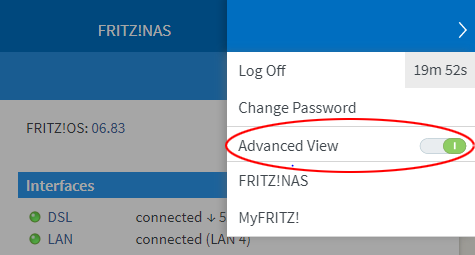 Other FRITZ!Box models have an Advanced View that displays additional settings for advanced users. How to change this view depends on which version of FRITZ!OS is installed.